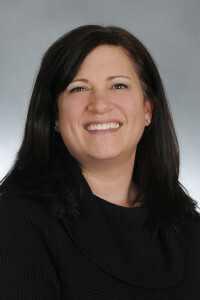 Lisa Prescott is an expert in Internet applications, online communities and training. Lisa has been an integral part of our client support team since the launch of our proprietary Starway performance management system in 2003. Lisa supports Starway users with functionality training and software upgrades to ensure our clients are effective in their quest to tie performance to strategic goals. Lisa is also our Devine Inventory administrator, preparing data tables and comprehensive reports which assist leadership teams progress through the strategic planning process. Prior to Pathway Guidance, Lisa worked for both America Online and Time Warner New Media managing their online communities, including message boards, chat rooms, contests, promotions, etc. With competing ad dollars, Lisa’s job was to figure out what would draw people to this particular community to make them stay and participate. She knows how to appeal to different audiences by gathering customer input through online focus groups and user contributions. She created programs and materials which ensured the staff was positioned to help the communities thrive. Lisa’s customer orientation supports the Devine Inventory and our Starway users. She not only helps our clients with training or technical questions, she is the liaison with our software developers for resolving technical issues and prioritizing future enhancements based on client feedback. E-mail Lisa Prescott or call 513-841-0888.